Dana used a material typically used in ‘Shrinky-Dinks’ called pre-stressed polystyrene. She used Processing in order to create black and white line patterns on the sheets, then placed the printed sheets under an IR lightbulb. The light exposure folded the sheets according to the black patterns. The light, being absorbed by the black lines, primarily hits the empty surface area, folding and bending these surfaces. This bending of the surfaces created beautiful short videos, highlighting the interesting imagery that unfolded (pardon the pun) from this well planned and executed project. I was drawn to this project as I am very interested in the concept of bridging the gap between two-dimensional and 3-dimensional works. I have worked with both in my past, and have always enjoyed finding interesting ways to bring two-dimensional imagery into the third dimension. 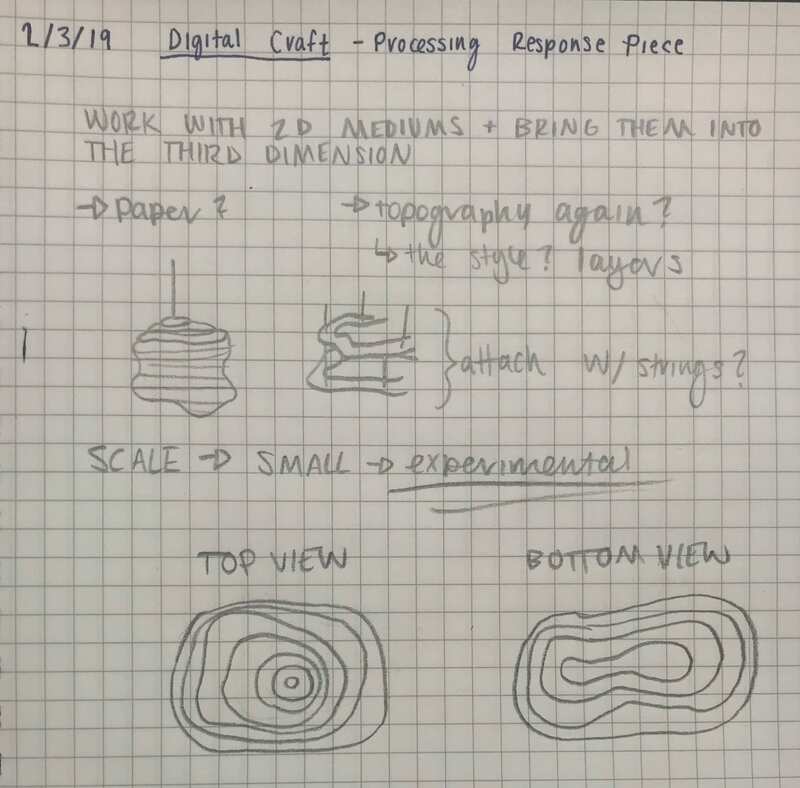 Typically, I work digitally a lot in order to plan projects to come out as exact as possible, but this year, I’ve been trying to work more hands-on. 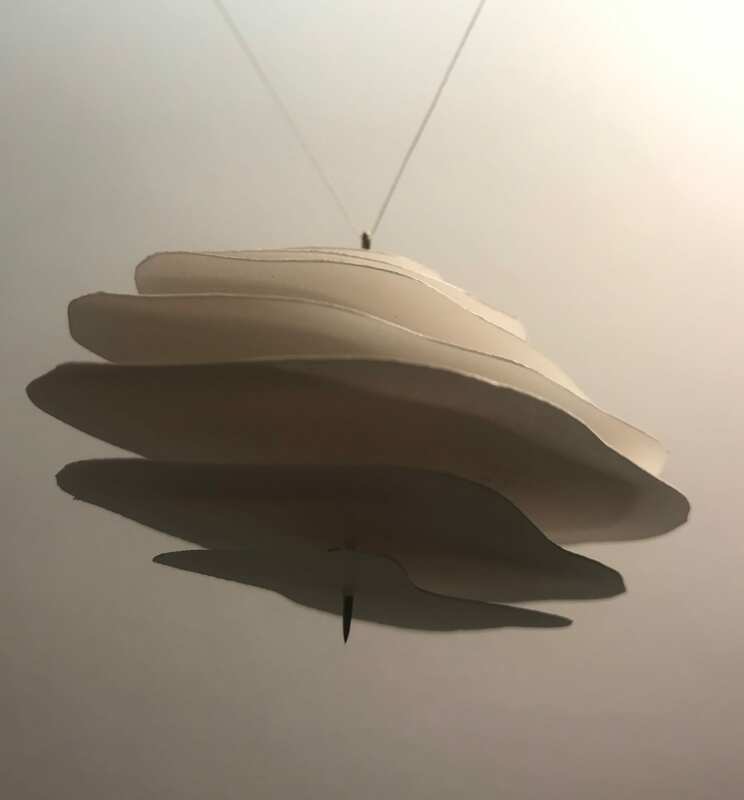 For my response, I decided to create a suspended, organic shape made up of two-dimensional paper. 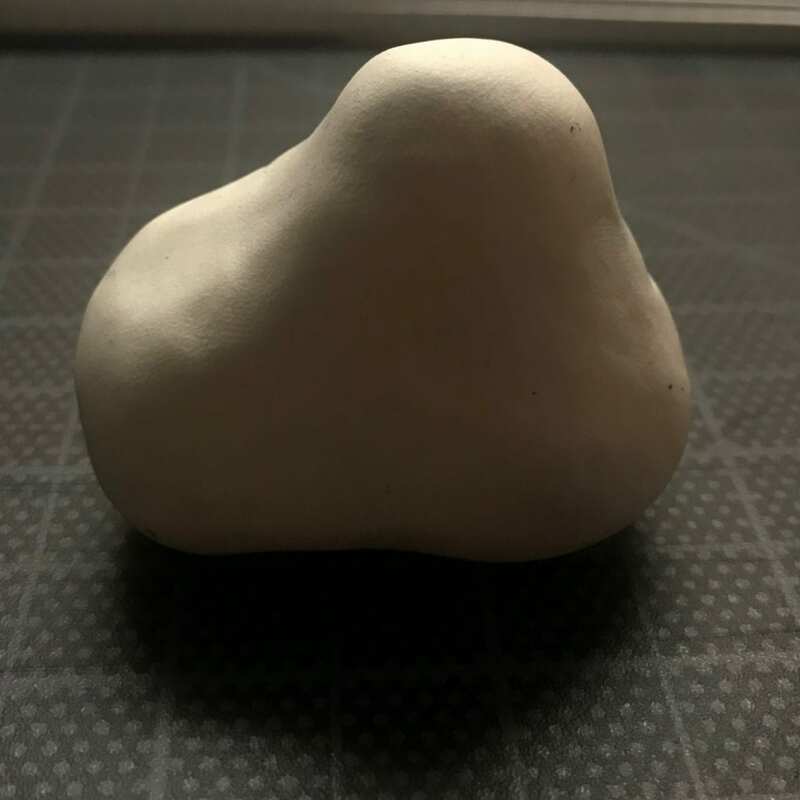 For the general shape, I did some sketching and even formed a small shape out of modeling clay as an inspiration for a shape with movement and forms that I enjoy. 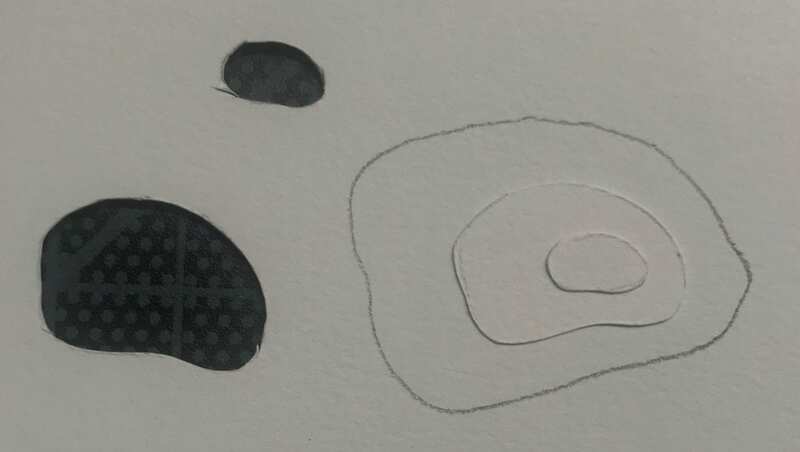 I began with the top layer, using each new layer to trace a larger portion around, forming the first half of my piece. 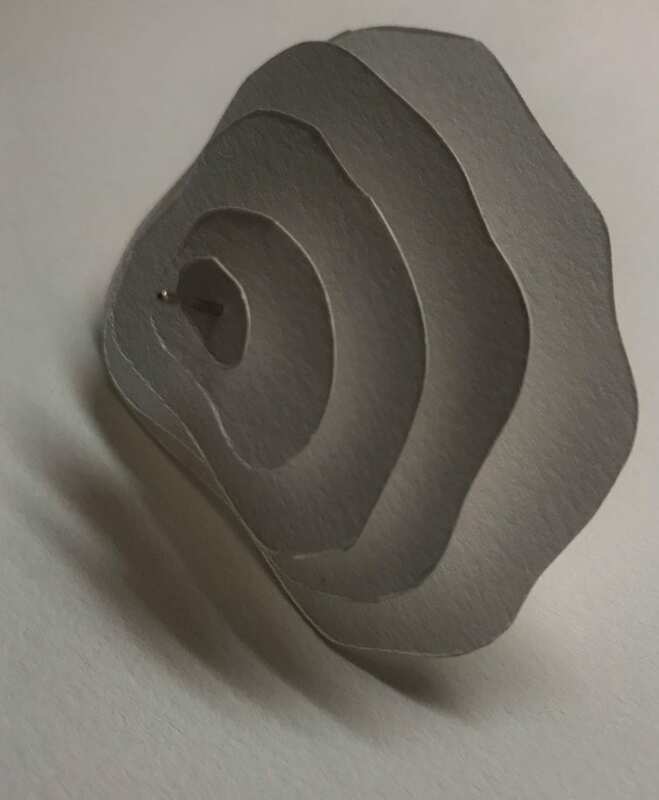 I decided while puncturing the layers with a needle, that a needle would do a good job in suspending the layers of paper to create a three-dimensional object and avoid the layers from compressing into a flat pile. I continued this process, filling my long needle with multiple layers. I then suspended the piece with a thread from the eye of the needle. 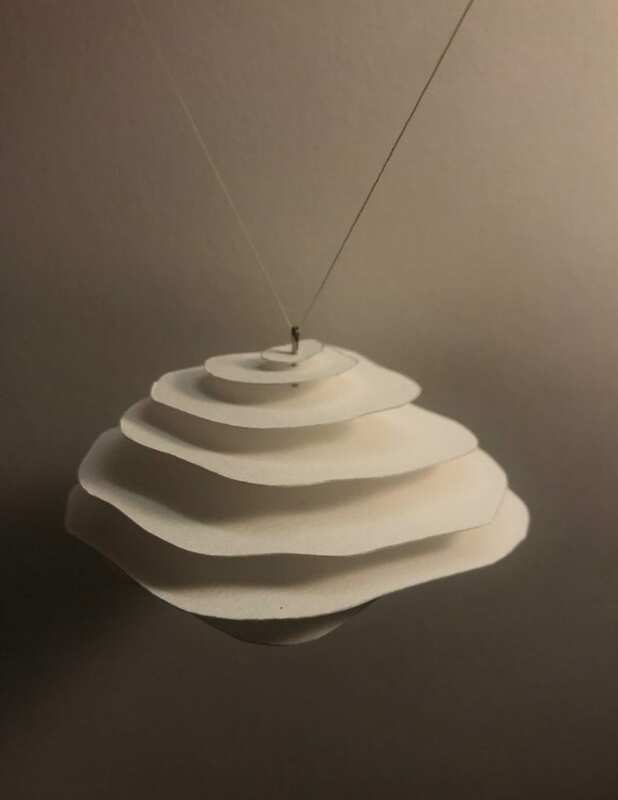 I enjoy how the result turned out, and find the shape’s interaction with light very intriguing as well. Casting shadows and moving on its own, the piece was a very interesting sight. I’d love to work in a similar fashion in the future on a larger scale!